Thank you for your interest! We have reached our room capacity and are no longer taking reservations. The Chicago ACM and Loyola University present a no-nonsense, hands-on Android workshop where you will create your own Android App! 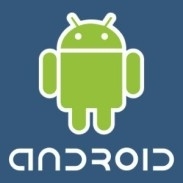 Android is a Linux-based mobile operating system from Google for smart phones. Android-based smart phones represent the fastest growing segment of the market with now over 50 available models to choose from. This presentation will cover various Android apps including bar-code scanners, SMS service, using the Google API, custom settings and User Interfaces. If you bring your laptop, you can participate and follow along with the presentation to take advantage of this opportunity to learn about the largest growth area in mobile applications. If you plan to follow along with the workshop then you will need installed on your laptop the Android SDK, Eclipse IDE (3.4 or newer), and the Android Development Tools (ADT) Eclipse plugin. Setup instructions are found at http://developer.android.com/sdk/index.html. Plan on charging your laptop prior to the event due to the possibility of limited power outlets. Uki Dominque Lucas, principal at the Revere Group, is an Internet software entrepreneur and technology evangelist. Uki has over a decade of Agile management experience and work with developing start-up companies. Uki has been a proud mentor to scores of very successful programmers while always staying hands-on with the forefront of cutting edge technology. 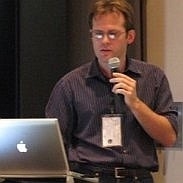 Uki frequently gives talks and seminars on a variety of Google technology topics, the Android platform and Social Media. And as a leader and developer in the Chicago Android development community, Uki organize conferences, events and workshops for Google and Motorola attracting more than 500 participating Chicago Android developers. Loyola will be providing some light refreshments at this event. Also feel free to "brown bag" it and bring in supper from the outside to eat during the social hour.